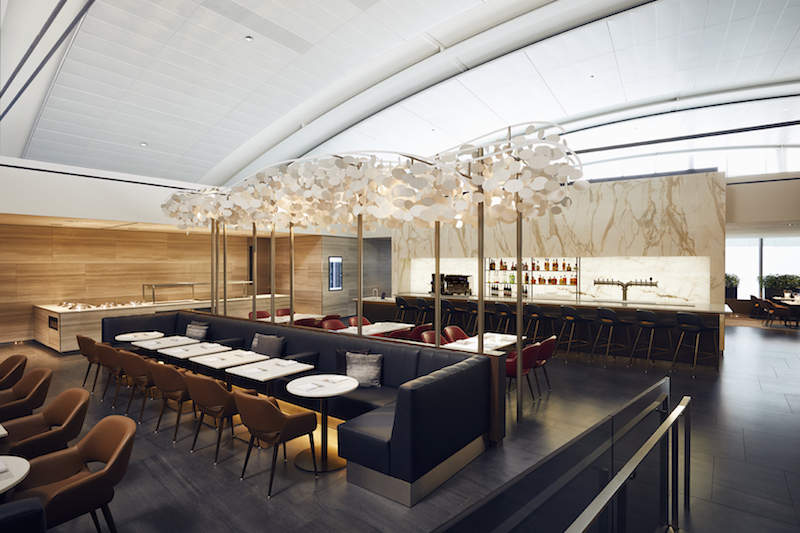 Flying first class just got even more posh, thanks to the new Signature Suite for Air Canada’s top International Business customers at Toronto’s Lester B. Pearson International Airport. 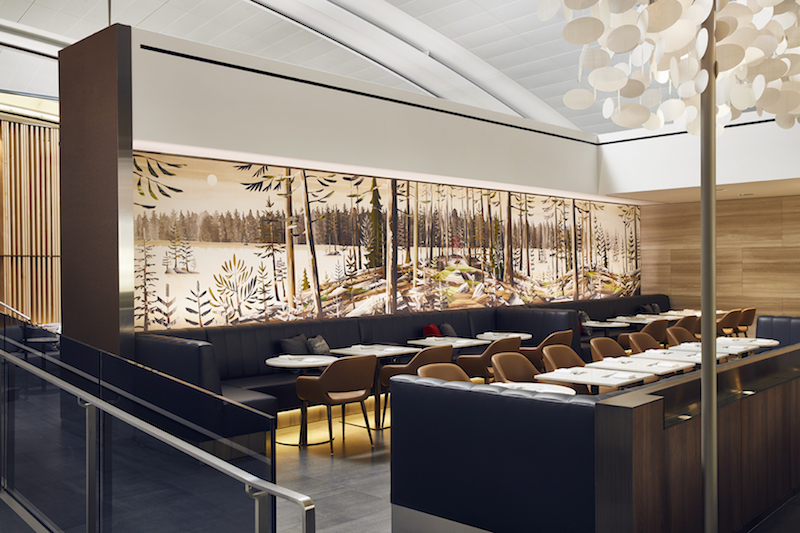 Designed by Montréal-based Heekyung Duquette Design Office— who has worked with Air Canada before on Maple Leaf lounges in most of Canada’s main cities as well as a few international airports — together with architect Eric Majer, the new suite opened on December 1 and is explicitly clear in whom they’ll let in: only full fare-paying International Business Class customers, excluding upgrades and point-redemption programs. 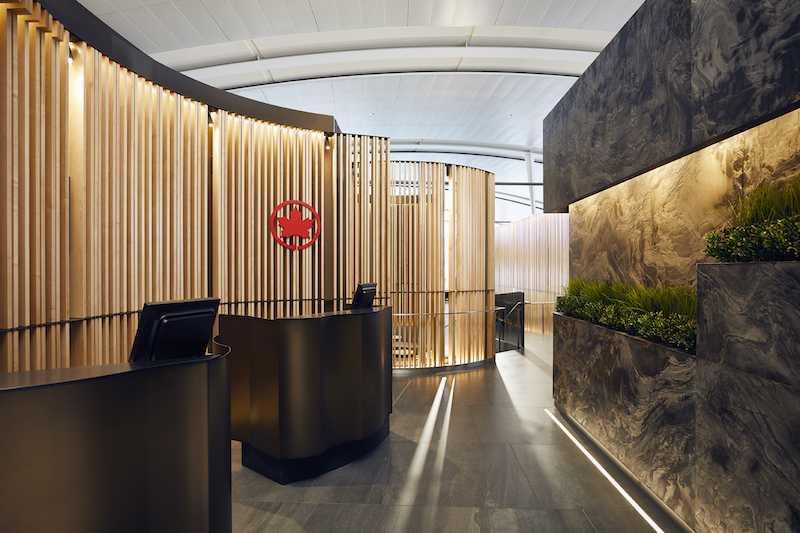 Arrival is marked by the Air Canada logo on maple wood slats forming a canopy overhead and continuing into the reception area, and an up-lit topographic relief of Fantasy Black marble enclosing a nearby luggage checkroom. Once through the reception gauntlet, the atmosphere is one of subdued serenity. 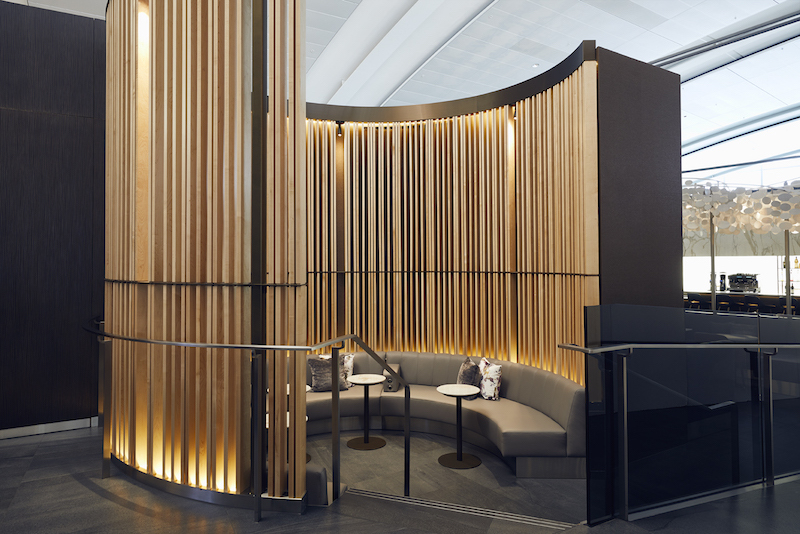 The meandering maple screen continues down a main ramp leading to the central court; to the left, a crescent-shaped cocktail lounge; to the right, the cozy south lounge with comfortable sofa seating and luxurious custom blended carpet. Dominated by Canadian maple, polished Escarpment limestone and back-lit Calacatta marble accents, notable design features include a striking centre mural titled The Place to Which We Always Return by Ottawa-based artist Gavin Lynch; a variety of works by local Montréal artists Pascale Girardin and Nicolas Ruel; and an eye-catching Cloudscape freestanding mobile installation by Toronto design firm Moss & Lam, which features 950 hand-painted wafer-thin petals. 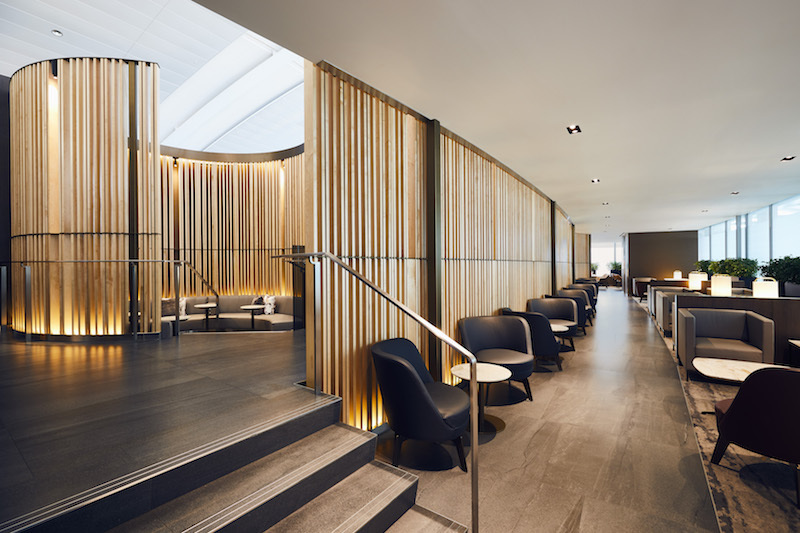 The 6,400-sq.-ft. suite, located near the international departure gates in Terminal 1, can accommodate up to 160 designer luggage-totting travellers, but unlike other lounges in international hubs that boast private relaxation rooms, padded daybeds or showers, this salon is more ideally suited for those catching connecting flights in Pearson, where growing airline traffic means needing to kill a few hours between flights is not uncommon. 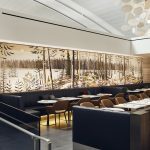 Food is the main luxury amenity here: visitors can dine à la carte at a full-service restaurant from a menu created by Vancouver-based star chef David Hawksworth. 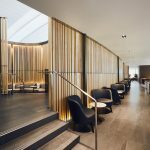 The suite also features a cocktail lounge space with full service bar, hors d’oeuvres and specialty snacks, a quiet sitting area and concierge service. Added exclusivity can be experienced in a bronze encased private dining room, intended for groups seeking a little more intimacy. 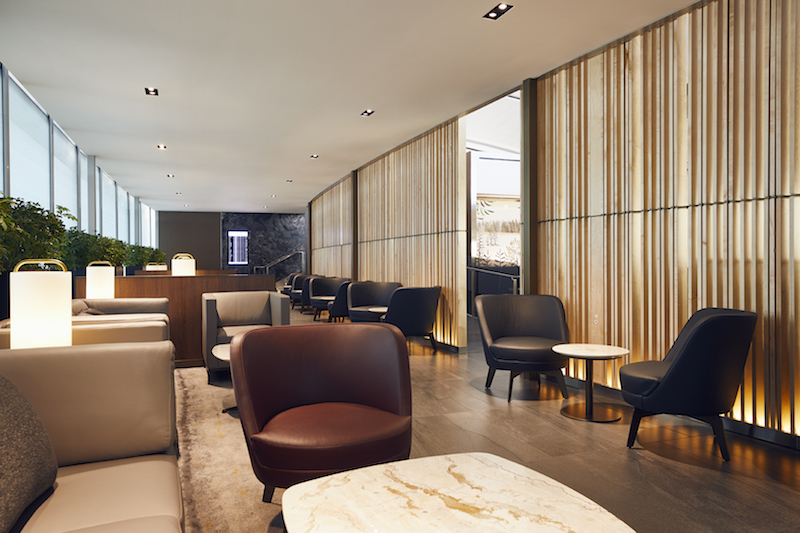 Its smoked glass sliding doors are overlain with a filigree maple-leaves-in-the-wind motif, an appropriately suitable nod to Air Canada.